Tech Savvy Women (TSW) celebrates and engages women in tech careers while delivering attraction, retention and promotion strategies to organizations seeking to attract and retain diverse talent throughout their organization including senior leaders. TSW began as a local initiative in 2008 by JJ DiGeronimo, a woman with a computer information degree and 22 years’ experience with technology ventures, such as Inktomi and VMware in Silicon Valley, after starting at Anderson Consulting in 1995. 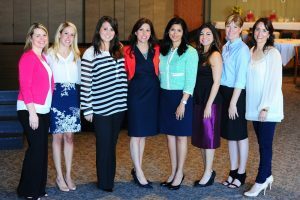 Since its inception, Tech Savvy Women has hosted hundreds of events for professional women in technology. 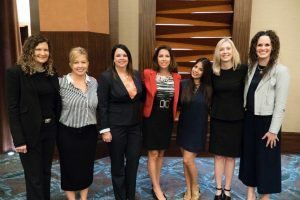 Additionally, Tech Savvy Women facilitates recruiting and retention sessions for organizational leaders looking to interlock their diverse talent with business value. Her latest award-winning* book, Accelerate Your Impact: Action Based Strategies to Pave Your Professional Path is providing tools to organizations looking to retain, attract and advance their diverse talent. TSW members share a wealth of knowledge and experience, with over 2000 members representing various industries and technical disciplines. Many Tech Savvy Women are product creators, technical team leads, developers, tech marketing experts, experienced senior saleswomen, professional service leads and tech entrepreneurs building businesses. These women are paving the way for young women (girls) in STEM. Organizations seeking a competitive and sustainable workforce through thought diversity, innovation, and leadership, partner with Tech Savvy Women. IT’S TIME FOR YOU TO JOIN ALL OF US! With great momentum to date, we hope you too will join the conversations, events, and other activities to engage, promote and propel women in tech and related careers forward. Click to join us today!